This is a guide on how to back up your original PS2 game on a DVD Dual Layer disc and how to add it on the PS2 HDD in order to play ,hopefully... , in every kind of HDLoader. Start the DVD Decrypter and on menu select Mode->ISO->Read. 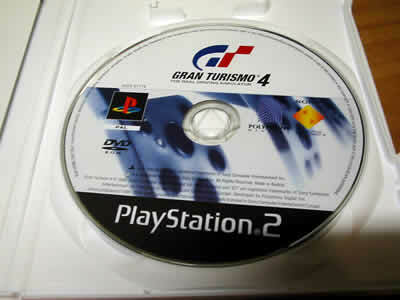 Now insert your original game into the DVD drive and wait until the DVD Decrypter recognize the game. Select the destination path, click on the green arrow and wait until the reading is done. 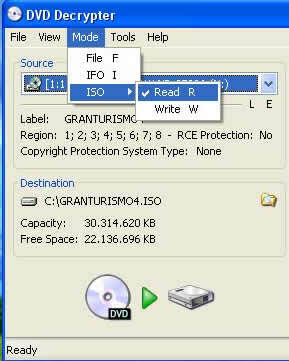 When the reading procedure is done you should have an *.ISO (it's an image file) in your HDD. Now is time to patch the ISO image, open the Toxic Dual Layer Patcher, click on ... button and find the ISO file. See the picture below. Click on "Go" and you should have a message that the patching is done. Now we are ready to burn the image. Use any burning program that supports ISO images. 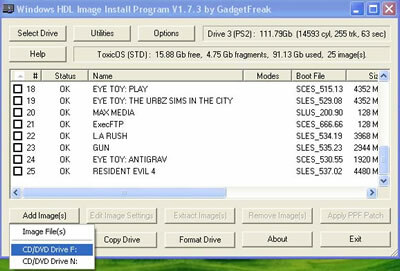 For those who want to play the DL game on a PS2 HDD, they have to use the WinHIIP. First you must connect the PS2 HDD on the PC, then start the program, click on Select Drive and select the PS2 drive. Click on Add Image(s)->Image File(s)->Add Image and find the ISO image, then click on Start and the procedure should start. Finally insert the PS2 HDD back to the PS2 console and boot the game with your favorite HDLoader. Oh...and if you have the DMS4 PRO Modchip with the ToxicOS flash, you don't need to apply the DL patcher. 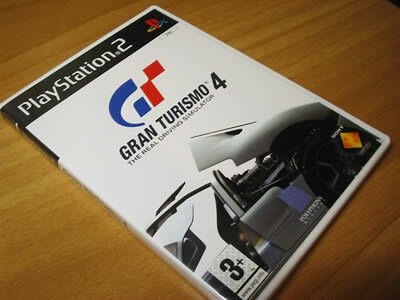 There's no need to patch GT4 and other dual layer games, they just need to be recorded using the right method and/or software. To do this without patching requires software that writes using the OTP method, or 'layer jump' recording, such as GEAR 7. Does anybody know of any other softwares supporting this requirement? I think that the patching is required in order to play the DL games on HDLoaders. Also I believe that with the patch the games are playing in every kind of Modchip. Is there anybody who has tested it? The link to DVD Decrypter is ILLEGAL and needs to be removed completely from the board. Wow thanks emperor , it is almost the same software!!!! Ok, I removed the link for the DVD Decrypter and here is the link for ImgBurn. is there a way to patchit without redo everything ?